In Part 1, we were introduced to the different imbalances that can occur in a game. Today, we will see how these concepts are employed to analyze critical positions, leading to the formulation of viable plans. Before coming up with a plan, use these ideas to do a breakdown of the imbalances on both sides, before deciding how to make use of those imbalances where you have the advantage. Imagine you are playing as White. There are no immediate threats on the board, so tactics are out of the question. How then, shall you formulate a plan? Of course you want to capitalize on your centre space, developmental lead, and better pieces, and shift the battle away from your isolated pawn weakness. Having a lead in development and more active pieces are dynamic factors; they are temporary and can vanish if not exploited (e.g. 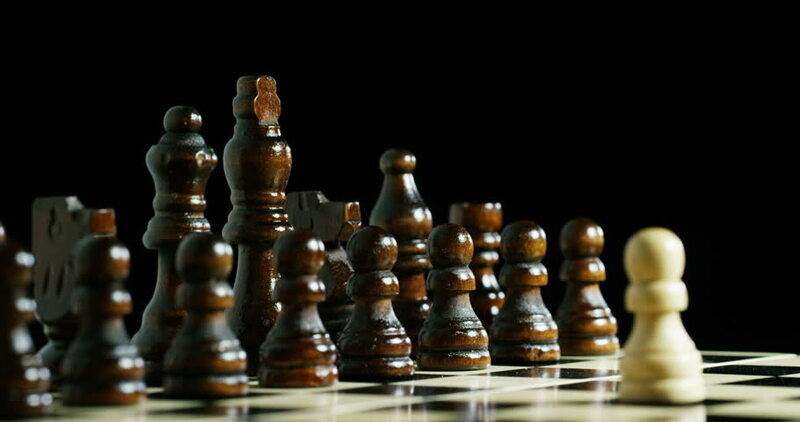 the opponent can improve the position of his pieces if given enough time). With that in mind, White should mobilize his active pieces for an attack on the enemy king as soon as possible, before the opponent catches up in development. On the other hand, his isolated d-pawn is a static factor, which is unlikely to change or vanish as the game progresses. So White should avoid the trading of pieces, since his isolated pawn will stay on the board and become a more vulnerable weakness in the endgame. 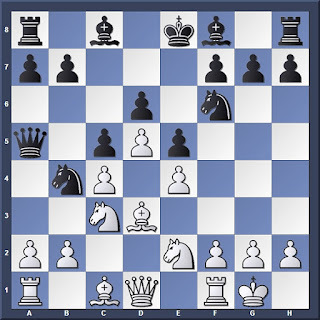 In essence, White's plan should be to use his more active pieces to attack the castled enemy king as soon as possible, and avoid trading into the endgame where his isolated pawn weakness becomes vulnerable. How about Black? 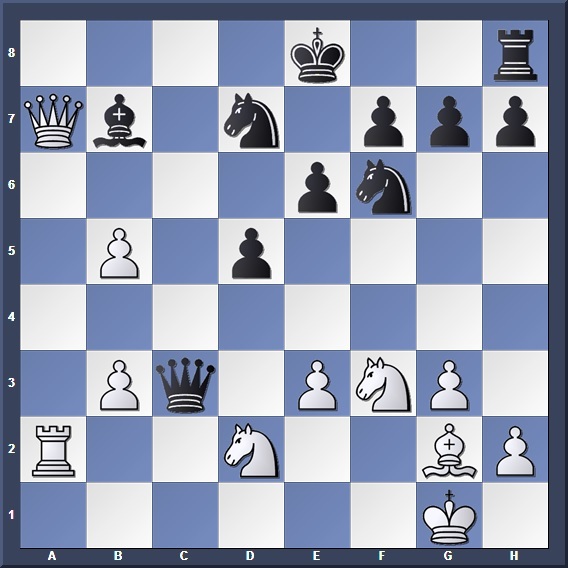 He needs to improve the position of his light-squared bishop, possibly by Bd7-Bc6. But more importantly, he needs to trade off White's active pieces to blunt any upcoming attack, and enter an endgame where Black has the better pawn structure. Effectively, Black's plan is the reverse of White's. 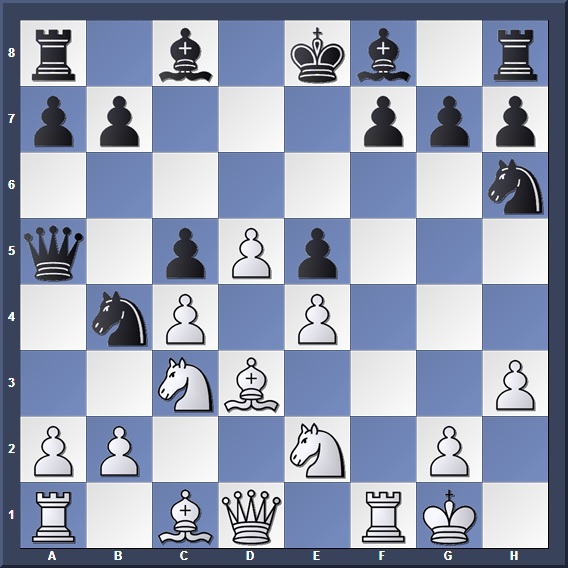 Improve the position of his light-squared bishop, exchange pieces to reach the endgame, and target White's isolated pawn weakness. In our next example, White seems to have a problem: Black is threatening to exchange on d3 and remove White's bishop pair. Some of us might think that the exchange will create an imbalance that helps Black, since he gets the two bishops. But although the bishop pair may be useful, they don't always work well in every position. 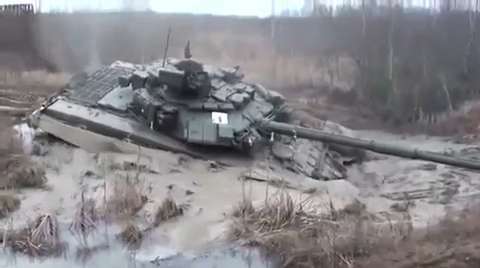 We all know that tanks are powerful steel beasts, but put them in a muddy field and they are as good as useless. Similarly, the bishop pair becomes ineffective in a closed position, where the diagonals are blocked by pawns. 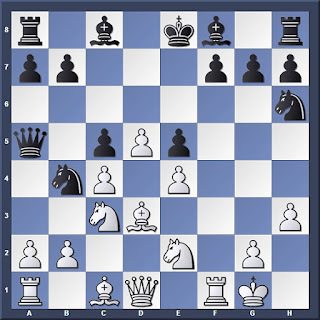 A quick glance at Position 2 is enough to see that the closed pawn centre is not good territory for the bishops! 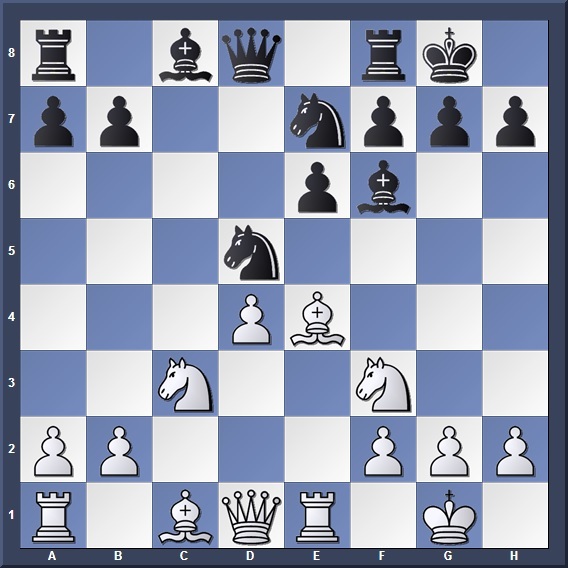 So White should not be afraid to exchange on d3, since his knights work well in the closed position, while Black's two bishop "advantage" gets neutralized by the myriad of pawns in the centre. The resulting imbalance is in White's favour, not Black's! Not surprisingly White has the advantage, and he should use the semi-open f-file to attempt a kingside invasion. This will be made easier by his centre control, which will interfere with Black's attempts to defend. However, White must watch for any counterplay Black may try on the queenside. The last example is one of my most cancerous favourite games. It is a good demonstration of how one can use whatever imbalances they have at hand to save a bad position, and "scam" their opponent of any wins. It is obvious that things are going badly for Black. White has total control of the h-file, and a pair of dangerous—albeit doubled—passed pawns on the b-file. If we analyze the imbalances, it isn't hard to see the advantage lies with White. As Black, I faced a dilemma. I could defend passively with Qc8 to preserve material equality. But then White would be free to carry out his plans, and after something like b6 he would use his imbalances (the h-file and passed pawns) to slowly crush me. Or I could do something about the few imbalances I had. 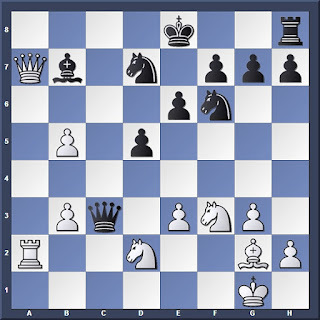 Namely, White's weak e3 pawn and his vulnerable king. That means bringing as many pieces as I could over to attack the enemy king. But this would mean that the poor b7 bishop would be left defenceless. Which of these choices did I choose? Either way, I would be losing something. So rather than giving my opponent an easy, positional game, why not go all out and create as much problems for him as possible? I am already in a bad position, so I have nothing to lose anyway! So I chose Plan B: Jettison the b7 bishop, and bring my remaining pieces over for an all-out attack against White's king. Was my attack a sound one? No: White could have refuted it with 29. Nf1. But the numerous problems I created on the kingside made it easy for either side to slip up, and my opponent was unfortunate enough to do so. And in case you were wondering whether this was a blitz game, it was in fact a casual game played without time control, so both of us had plenty of time to think. Now imagine what would happen in rapid time control, with both sides having limited time to think! The lesson from this game is: When in a bad position, play as actively as possible and create problems for your opponent. After all, you have nothing to lose, and with any luck your opponent may make mistakes and get "scammed" of his win! It is by understanding the nature of a position that one can formulate an effective plan, and tip the scales in your favour. 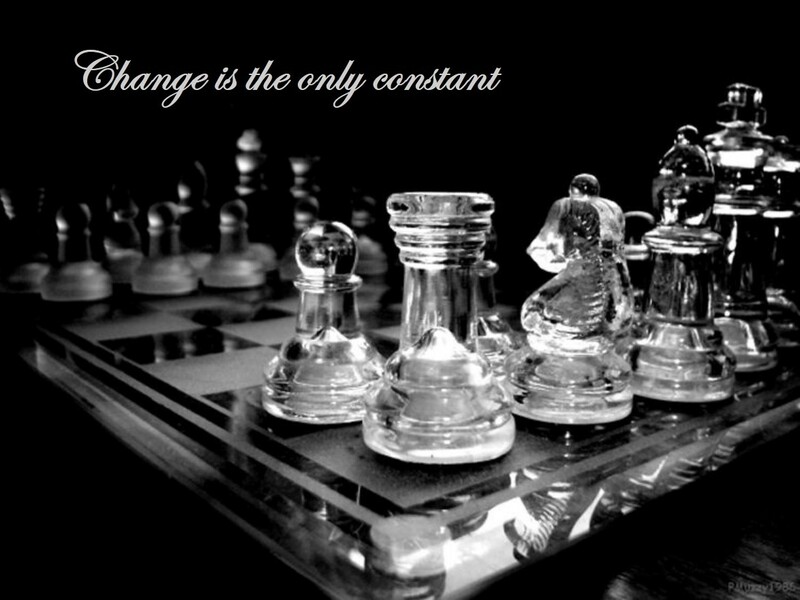 This is the art of chess strategy.